Through many months of trial and error, we have finally found two perfect spice blends that you can use as blackening rubs. It’s easy to make a marinade with these two blends and start grilling away! My favorite blackening spice blend is the Creole Seasoning. It is a savory blend of garlic, paprika, and other herbs and spices. It has a slight cayenne kick to it, but I’m sure it is nothing you can’t handle. 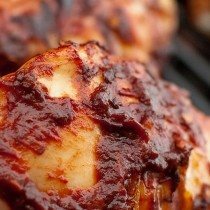 I prefer to use Creole as a wet rub on chicken, but it can be used on beef just as easily. First off, combine 2 oz. of Creole seasoning to a quarter cup of olive oil and add some salt. Marinate your chicken in this mixture, making sure everything is coated, and let sit for about 20 min. Grill for best results. If you are looking to blacken some fish, you need to go with the Jamaican Spice blend. Allspice, garlic, pepper and nutmeg are just a few of the spices in this Caribbean concoction. I like to use this as a dry rub with a bit of salt and then broil or grill. Jamaican spice is also great on other seafood, like shrimp, and chicken too!